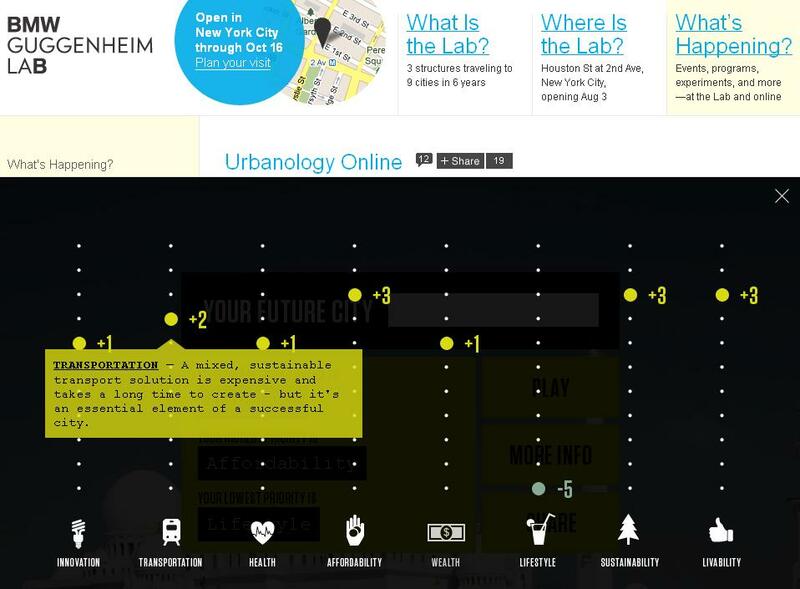 The creator of the game, the BMW Guggenheim Lab, is a mobile laboratory that will travel to nine major cities worldwide over a six-year period to address issues of contemporary urban life through programs and public discourse. The lab is an international group of urban planners, architects, artists, designers, scientists, as well as experts in technology, education and sustainability who explore new ideas, experiment and create forward-thinking solutions to the challenges of urban life. During the six years of activity, the lab will install three distinct mobile structures and go through three thematic cycles. Each structure will be active for two years and travel to three cities around the world. The first mobile structure draws inspiration from the lab’s initial theme: Confronting Comfort. This theme is meant to explore notions of individual, as well as collective, comfort and the urgent need for environmental and social responsibility. The very first installation will be presented in New York from August 3, 2011 to October 16, 2011. The lab will then travel to Berlin and Mumbai. The lab functions partly as an urban think tank and partly as a community center, initiating public discussion on issues that affect livability, sustainability, public health and transportation in cities. 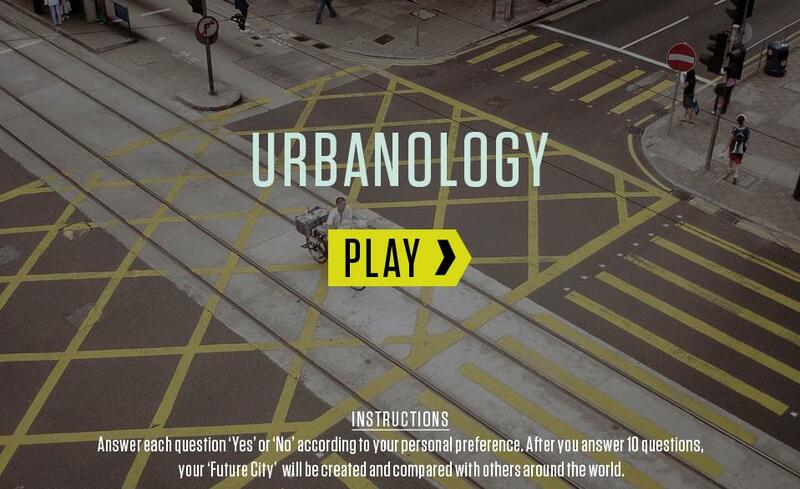 Urbanology is an online extension of the physical installation and the theoretical discussion. In addition to answering questions, players can also suggest additional questions, which can serve as a global exchange of ideas and lead the discussion on urban issues. Although the game exposes hotly debated urban issues to a public space, it also oversimplifies the decision-making process and provides too little context for the fictitious city. For example, deciding to put affordable housing in a vacant lot over a five-star hotel may increase a city’s affordability for its citizens but decrease lifestyle points, making your city less attractive to tourists. Making such abstract decisions without having the necessary context, like knowing the average household income or demographics, may have the opposite of the desired outcome for your fictitious city. Some commentators are also criticizing the game for missing the opportunity to be truly thorough and insightful. Whether Urbanology misses the mark or not, the game has a great potential to ignite debates on the challenges of urbanization. Take your turn here and play the game!